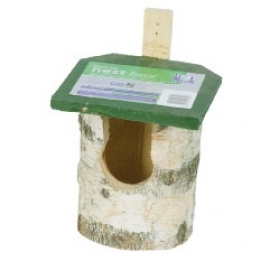 Birch Log Nest Box (Open) - Simply Bird Garden Birds Supplies. Made from a single birch log, this nest box is suitable for robins,High quality the best and most fashionable online of the store.wrens and blackbirds. As this is a natural product there will be variations in dimensions.